The BEST ski-in/ski-out location at Big White! 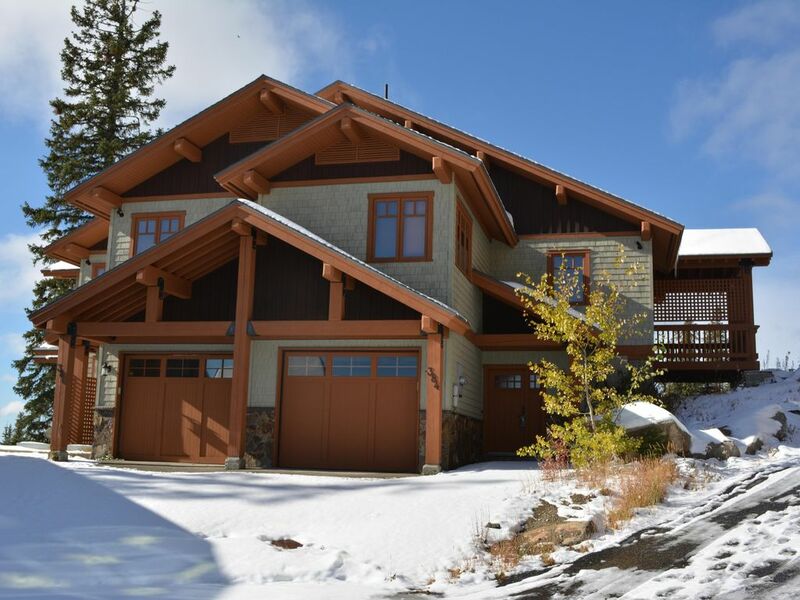 This is a spacious 3 bed/2 bath duplex located directly on an easy green run called Woodcutter that leads to 3 chairlifts: Snow Ghost, Ridge Rocket and Plaza. The duplex is also just a quick 5 minute walk through the tunnel to the village! The entry level/ground floor hosts 2 bedrooms and a full bathroom. One bedroom is equipped with a queen sized bed and the other has a bunk bed with 1 twin and 1 queen mattress. Also on the entry level is a laundry room, access to the 1 car garage and a back entrance leading to the secure ski locker and direct access to Woodcutter run. The upper floor has an open concept fully-equipped kitchen, dining and living space and exterior patio. The master bedroom equipped with a queen sized bed and ensuite bathroom (including a steam shower!) is also on this upper floor. Fabulous house, wonderful views, great location. We were very pleased with our stay. Would definitely book it again! Perfect location, return visit, won't change a thing !! This place is gorgeous! Haylee and her people are so nice and responsive! We LOVED the view and how amazing the ski in and out access was. The family, living dining was the best. Lots of room to cook and hang out. The master bedroom is off the kitchen and the bedrooms are downstairs under the living, dining. You can ski right out the back door and down the mountain. The place is stocked with anything you need. We had an outstanding time! Loved it so much! A beautiful home that fit our family perfectly. The location was amazing! We had a wonderful family vacation and really enjoyed how easy it was to step out the door and onto the hill. It was also a very short walk up the hill to the village. The kitchen was perfectly set up and made cooking easy. The steam shower was a great little feature as well. The only thing missing was a hot tub. A beautiful home in an amazing location. A very short walk (on the edge of the slopes) up to the village, and a short ski down to the two main lifts at Big White. The kitchen is well equipped and the bedrooms were comfortable. We loved the steam shower! Gorgeous home from fabulous hosts in a central location. Great layout and ski storage allowed our combined families with 4 adults and 3 kids to ski and play. The hosts were super responsive and helpful. We cannot wait to return.